Clear case with three mini wax highlight markers. Superior shelf life to traditional highlight markers - leave the lid off and they still work. 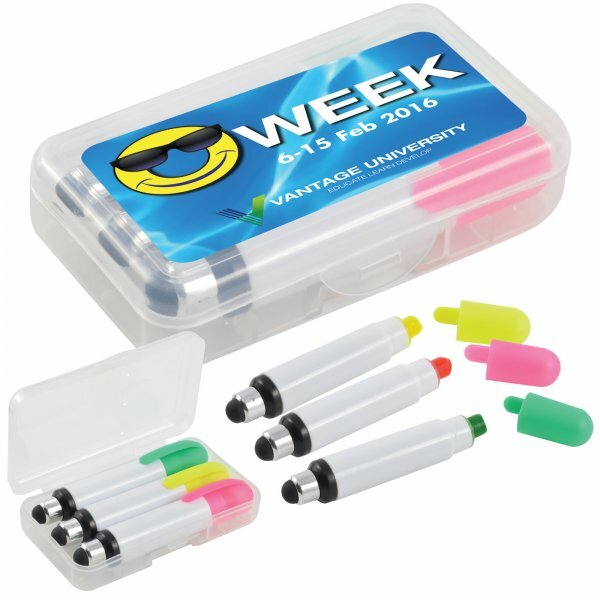 Pink, Yellow and Green highlight markers with white barrel and matching transparent lids. Black silicone stylus suitable for touch screens.